Headstone stone maker: C.W.Harrisson & sons Dublin. 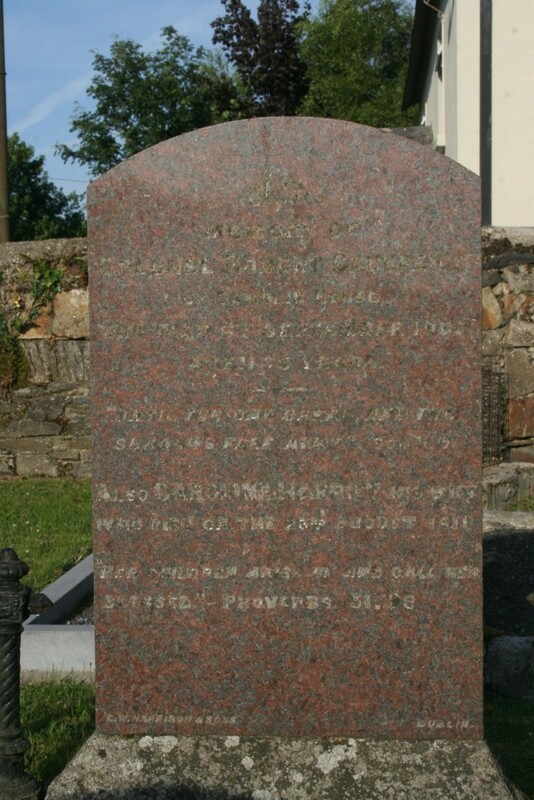 In memory of Colonel Robert Caulfield of Camolin house who died 6th September 1905 aged 75 years. Until the day breaks and the shadows flee away. Sol.11.17. 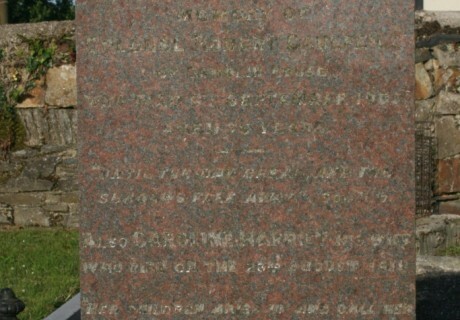 Also Caroline Harriet his wife who died on the 23rd August 1918. Her children arise up and call her blessed Proverbs 31. 28.